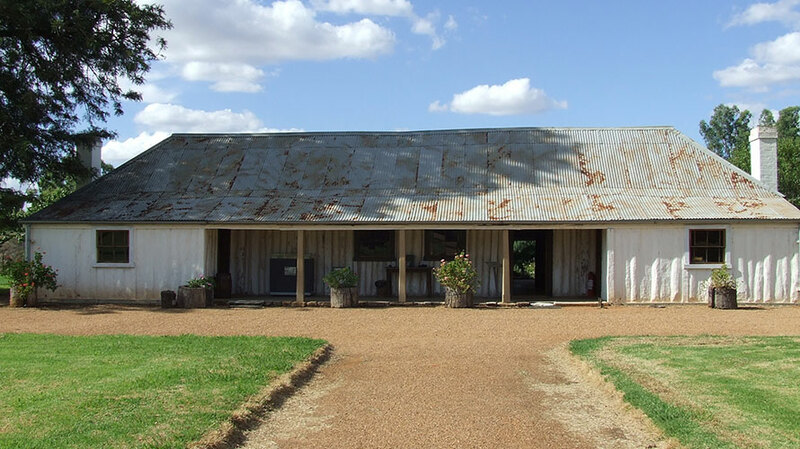 A visit to the National Trust’s Dubbo property, Dundullimal is a special experience which allows visitors to step back into rural life in the early colony. Its story is one of amazing endeavour and vision, evidenced in the creation of a finely crafted, albeit rustic home, which has survived in near original condition at a time when the land was beyond the limits of settlement. Built in the early 1840s as the head station of a 6,500 hectare squatting run, the homestead is Dubbo’s oldest building open to the public. Its interior is remarkably sophisticated for its genre, with louvre and multiple-paned glazing opening onto the verandah. The imposing sitting room is noted for its ‘tent’ shaped plaster ceiling, and wallpaper reproduced from an 1850 patent. The master bedroom is complete with iron bed and campaign chest. The house is an interesting contrast to the tradtional sandstone stables complex. The ‘working’ areas include the blacksmith’s forge, coach room,sunken cool room, stores and stables. This building reflects the practical yet essential elements of rural life on a large, isolated property during the nineteenth century. Tour Groups are welcome for our lunch & guided tour package. Education programs for primary and secondary schools. Holiday season events include demonstrations and children’s activities. 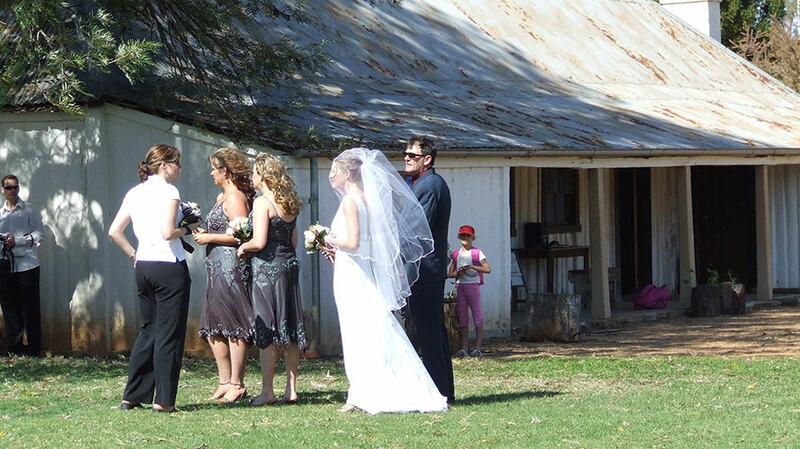 Dundullimal is set on 4 hectares surrounded by farmland but only 5 minutes from the city of Dubbo. Experience the tranquility of the unique part of Australian pioneering history. Enjoy a self guided tour at your leisure followed by a devonshire tea. Stroll through the homestead’s traditional garden while the children play games and visit the farm animals. Our volunteer guides can also assist and enhance your experience. *Special admission fees apply for selected exhibitions.